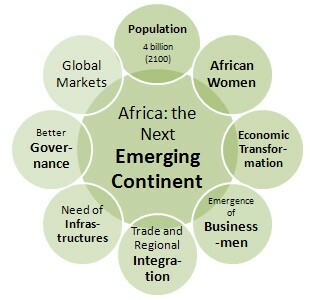 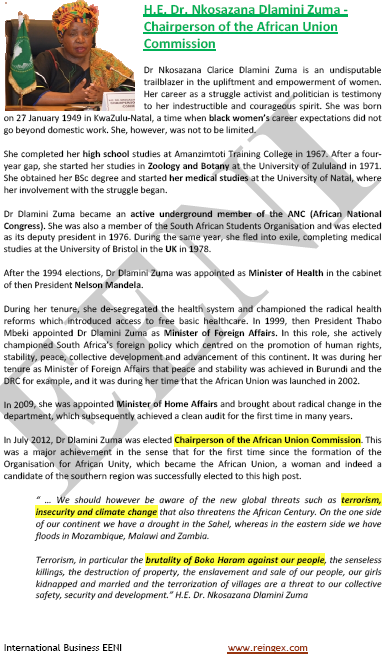 Syllabus of the Online Course (Subject): Africa- the Next Emerging Continent. 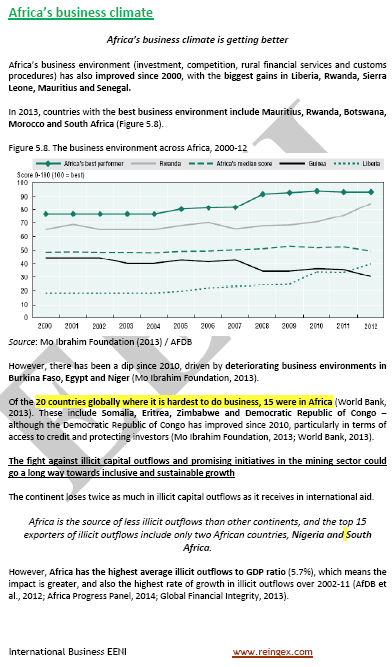 Why doing business in Africa? 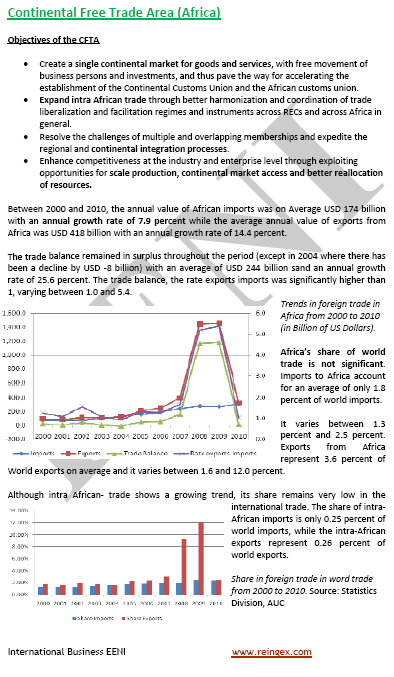 Africa and the Global Market. 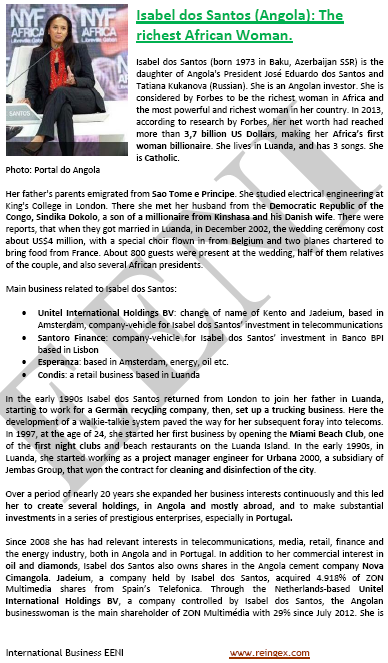 Languages: or Afrique: prochain continent émergent África próximo continente emergente África: próximo continente emergente. 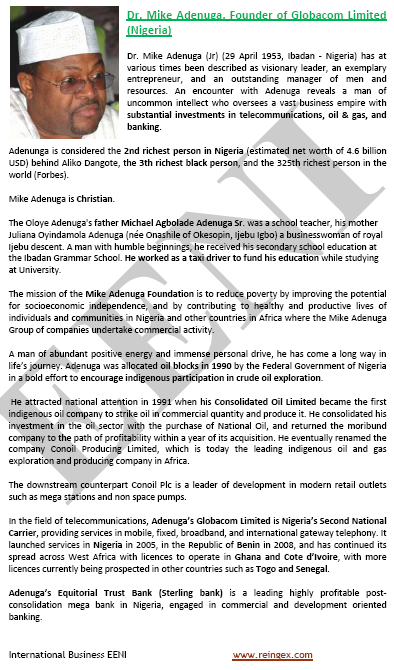 “The future of humanity is ever more African” (UNICEF). 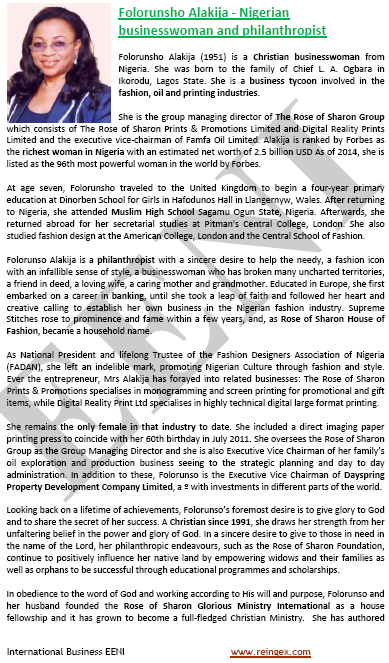 519 million Women: the fundamental pillar of the African economic development. 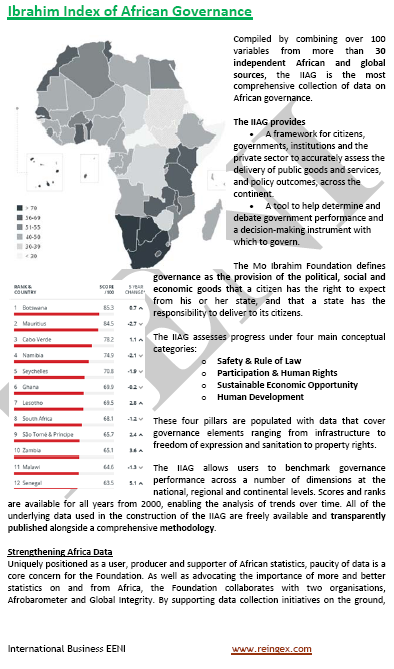 3- African Economy: Deep African Socio-economic Transformation. 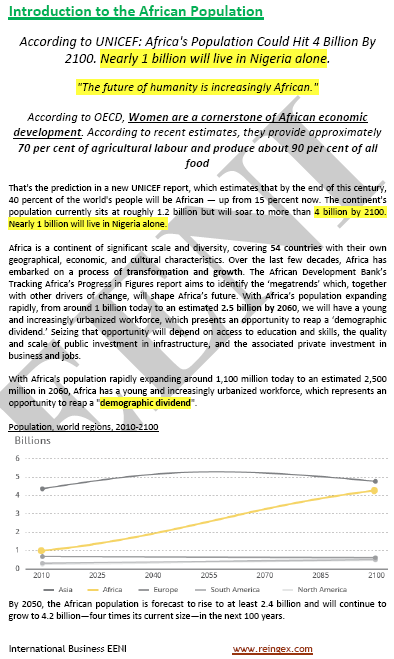 African economic growth: 5% in the last decade. 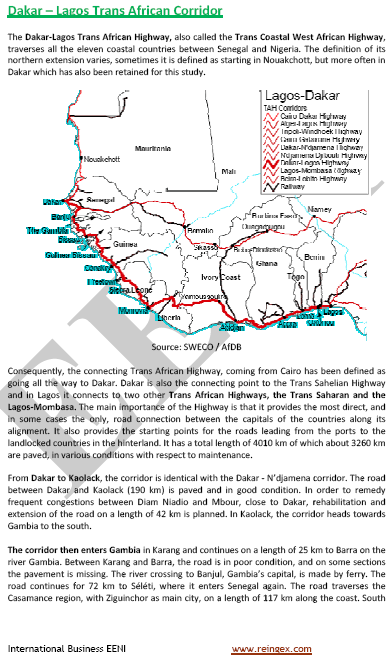 towards African Continental Free-Trade Area. 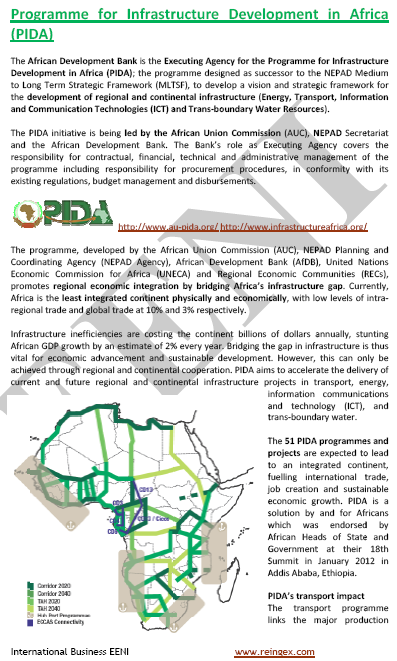 Programme for Infrastructure Development in Africa (PIDA). 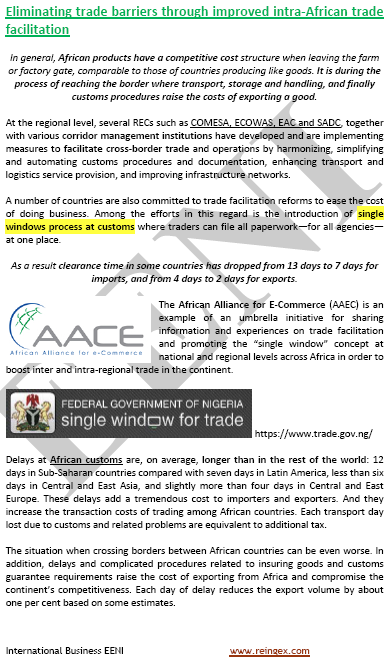 Better business environment in Africa. 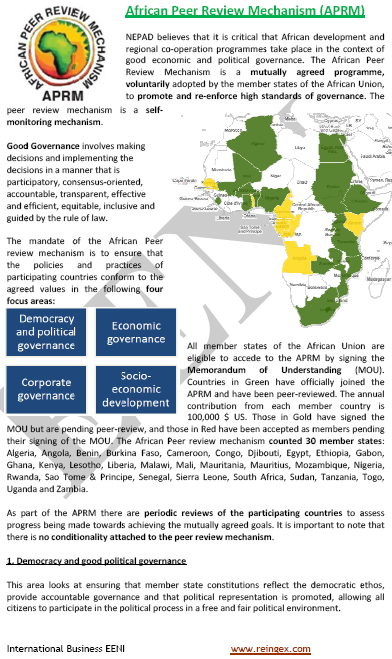 8- Africa and the Global Market. 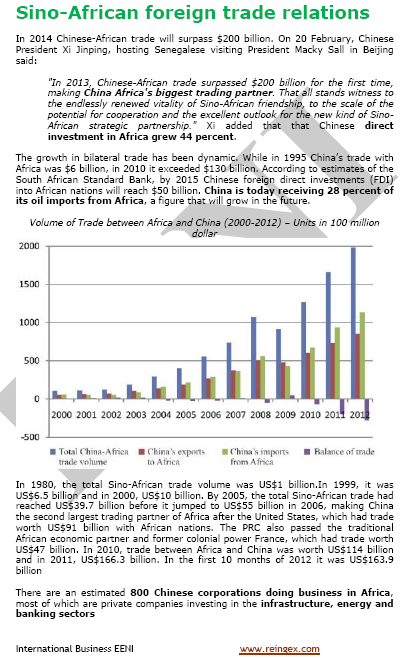 Africa: 3% of global trade.